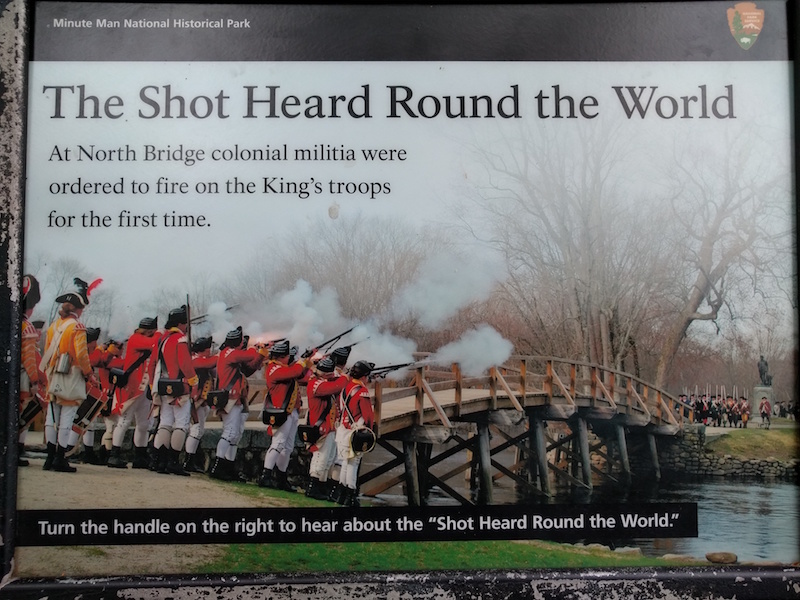 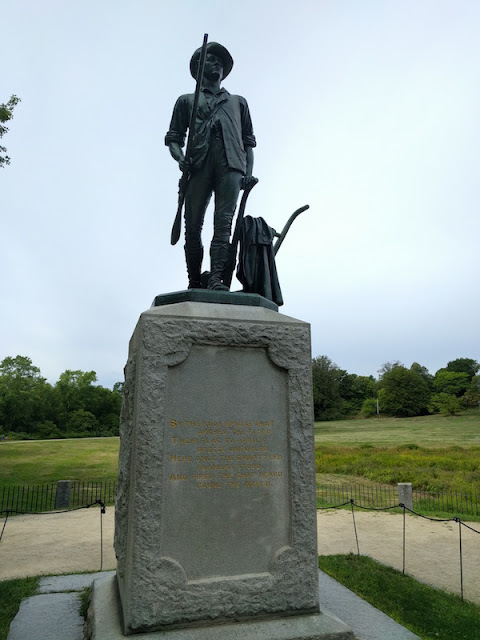 Walk in the footsteps of the American Revolution at the site of the first shots fired in the War of Independence. 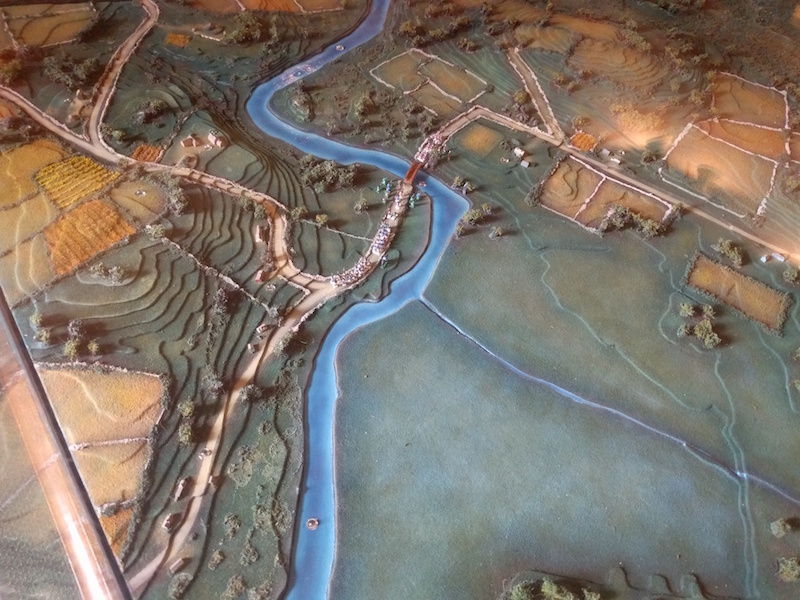 There is a visitor center with a large relief map of the battle, and gift shop with books. 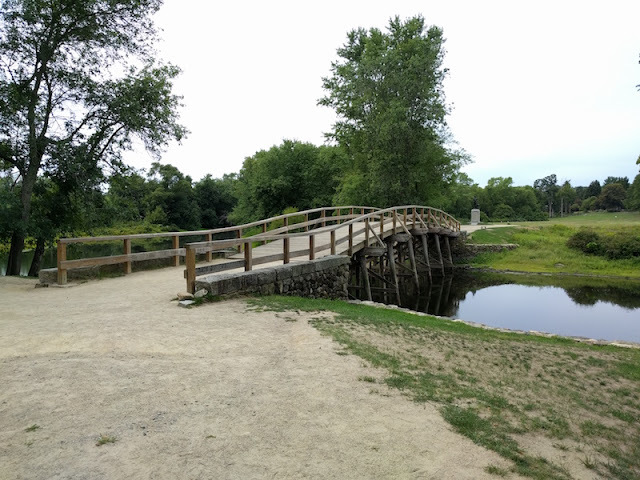 The site is large and you can walk several miles as you enjoy the bridge and statues.